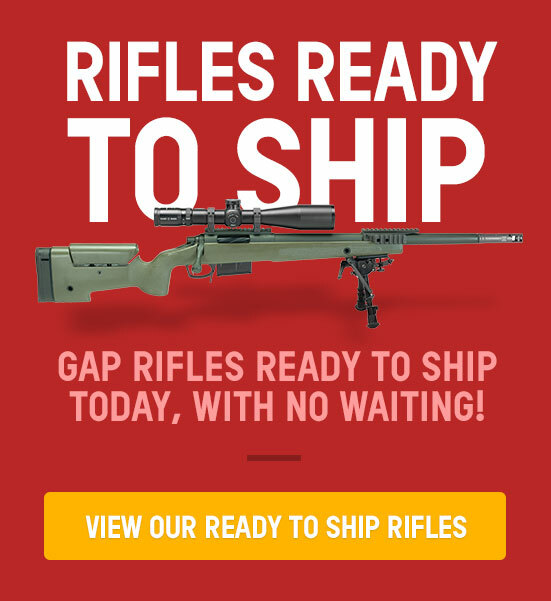 When placing an order with G. A. 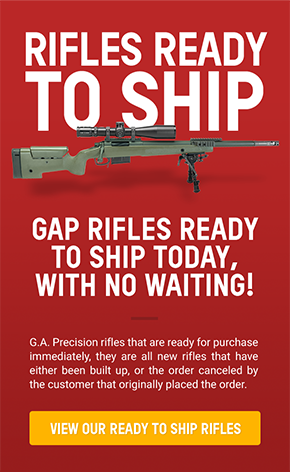 Precision, LLC, for a new rifle build using an action/receiver provided by G. A. Precision, LLC, a minimum deposit of $1000 is required. Additional funds may be deposited toward the build at any point during the build process. When placing any type of prepayment or deposit with G. A. Precision, LLC, and for any reason the customer needs to cancel said order, the customer will be charged a 20% cancellation fee. There will be no exceptions to this policy. The cancellation fee covers many expenses G. A. Precision, LLC incurs, which include but are not limited to the following: time spent by employees processing said order, supply costs incurred during process of order and restocking of parts ordered from suppliers specifically for your order. In addition, a 3% credit card fee is charged to G. A. Precision, LLC when a credit card is used for said deposit and another 3% credit card fee is charged to G. A. Precision, LLC when a refund is issued for said deposit.